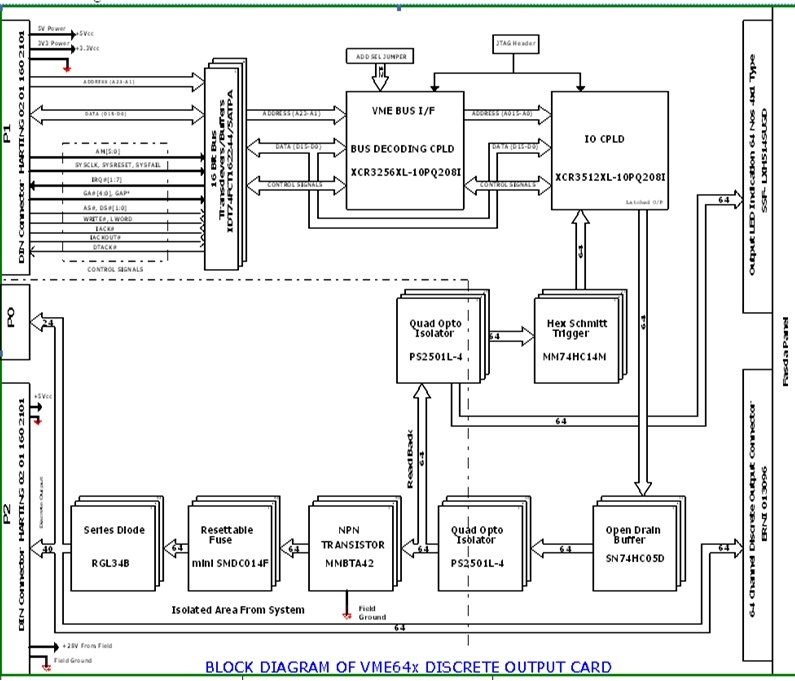 VME 64x Discrete Output(DO) card is used for Driving the Signal. The output is of sinking type. 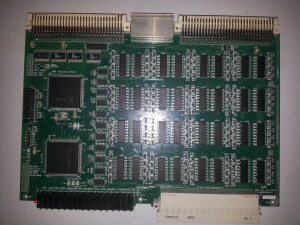 Connectors front panel, P2 and P0. 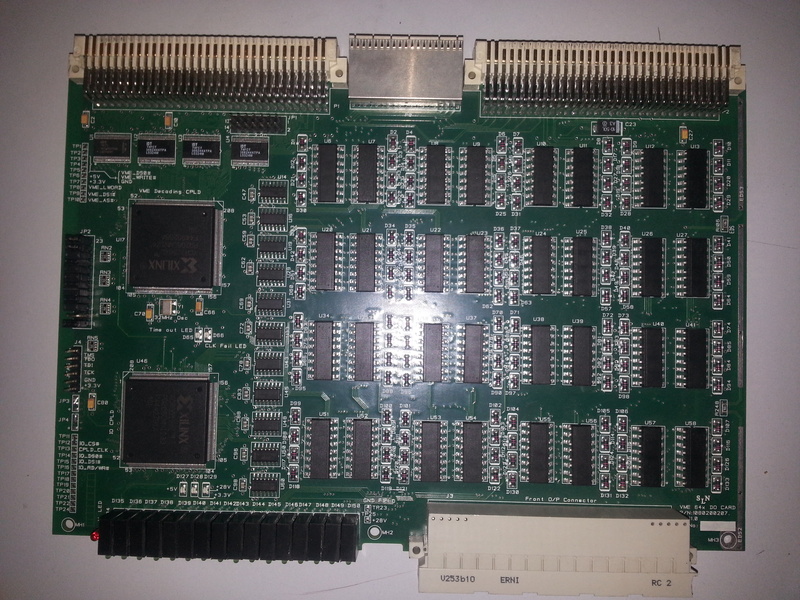 Standard 6U facia panel with ejector facility. BIT : Force High / Force Low facility to test all the Outputs from field side. Facia Panel : Standard 6U /4T Facia panel with ejector facility.